Mercia 6 x 6 Overlap Reverse Apex Shed Single Door: The Mercia overlap shed comes in a unique reverse apex style in where both the window and door are place on the wider section of the building. The 6 x 6 Mercia shed uses solid sheet materials for the roof and floor and 28 x 28mm framing for added strength. The Mercia’s reverse apex roofline provides additional internal head room and the roof design promotes water drainage. 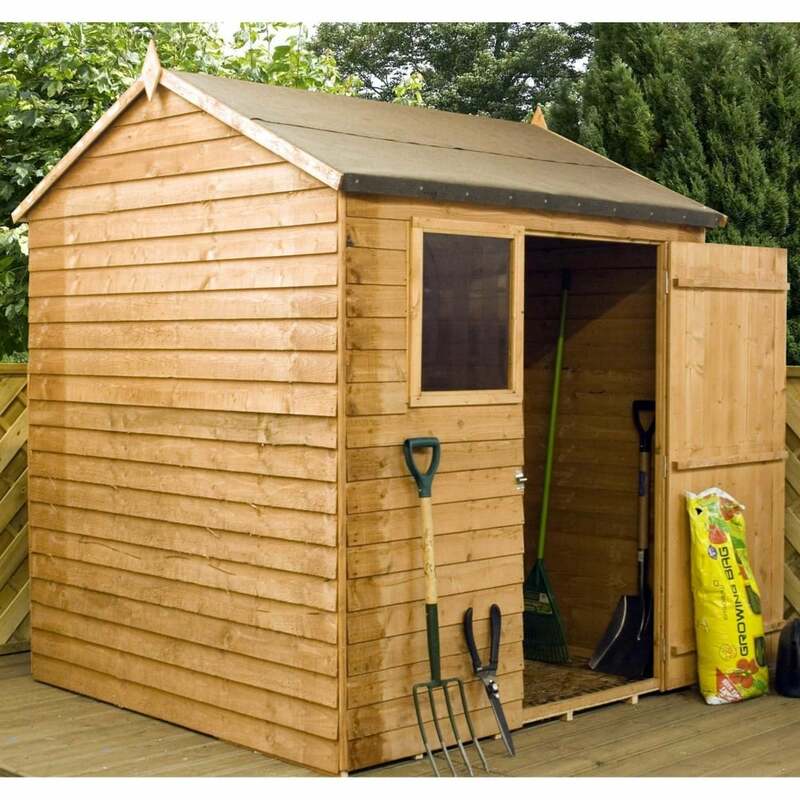 The 6 x 6 Mercia garden shed is manufactured from FSC certified timber and includes a 10 year warranty against rot.